Your Mac Pro or Mac mini needs a screen, but which one? 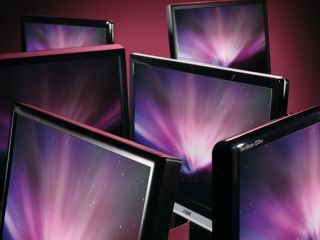 Unless you only use an Apple notebook or iMac, you need a monitor to go with your Mac. Today's flat-panel models are light, slim and take up very little room on your desk. They're easy to connect to, with the growth of DVI as a standard ensuring cross-platform compatibility for almost any display. But which do you buy? You can spend a small fortune on a monitor (especially if you insist on an Apple display), but you don't have to. You can buy a perfectly good monitor that does everything you ask of it and still have change left in your wallet; Mac users are not restricted to Apple's displays. But even though any off-the-shelf monitor will work with your Mac, it's important to buy the right display for you. As with most modern technologies, a little thinking time before making a purchase goes a long way, and can do much to minimise the risk of a costly mistake. First you need to assess what you will be mainly using it for. If you do a lot of design work, a display with a wide colour gamut is essential. If you watch a lot of movies, go for a widescreen model, and ask yourself whether it needs to be HD-capable. If space is not an issue, a 19-inch screen with a 4:3 aspect ratio is a good option.